Did the VA lowball your VA PTSD rating? Here’s how to find out. You tear off the envelope open expecting to see a 70%, or 100% rating. That dude in your unit who was there that day – and saw the same things you did – got a 70%, and he seems to be having an easier go of life than you. Part of you is excited. That extra compensation is going to make a difference. You are struggling to make ends meet as it is. You got fired from the last job for getting upset with your boss. The job before that you quit because all the people moving around that place wanting to talk made you jumpy and anxious. When you read the letter, your heart sinks. Then, a wave of anger and frustration. 10%. That’s what they gave you. The same rating they give to every veteran with tinnitus. First, it is important to know that you are not alone – the VA is not out to get you, and didn’t do this as retaliation against you. I’m serious about that: the VA is just plain incompetent when it comes to rating most medical conditions. Most of their raters try to do a good job – many are veterans themselves – but the VA doesn’t give them training. VA management has created a culture of hostility and back-stabbing where all problems are blamed on the “unions.” Don’t let me go down THAT rabbit hole. A lot of veterans – some worse off than you, some better off than you – have a diagnosis of service-connected PTSD and find themselves “low-balled” with a rating that is much lower than that of their peers and that does not reflect the severity of their medical condition and the affect it is having on their lives. When it comes time to appeal that low rating though, most Veterans have something else in common: they don’t have the tools to adequately challenge the low VA PTSD rating and don’t know where to start even if they did. I’m going to give you some ideas to deal with the lowball VA PTSD rating. The #1 thing to consider when your VA PTSD Rating is low-balled. There is nothing wrong with getting a professional to help you. VA PTSD claims can be really tough, even on straightforward facts. Recently, I talked to a vet who witnessed some horrible, horrible things during the invasion of Panama that messed him for a long time and put him on a path to opioid abuse and homelessness. The VA denied him service connection for PTSD. At my own firm, I’ve gone to the Veterans Court many times to straighten the BVA out on low-balled VA PTSD ratings. I’ve stopped them from symptom hunting. I’ve seen ratings so bad that the Veterans Court found the BVA’s actions “disconcerting.” And we stopped the BVA from an absurd decision that gave a 30% PTSD rating to a veteran who had regular hallucinations due to his trauma. These cases are hard to fight – there are so many traps for the unwary that just add stress and anxiety to a situation that probably already has too much. And I’m here to tell you, if I was fighting the VA on my own PTSD claim, there is only one attorney I would get to help me: Matt Hill. I don’t recommend people very often on the Veterans Law Blog® – it’s not what we are trying to do here. I”m trying to educate veterans, not shill for other businesses. I’ll tell you about lawyers, and experts, but I rarely make suggestions. I’ve known Matt for almost 10 years now, and he knows his stuff when it comes to PTSD claims. Click here to watch a quick interview with him a couple years back – use the form on that page and it will email him your info and ask for a consultation. And you can absolutely tell him that Chris Attig said he was the best. But don’t let me pressure you: if you want to handle your own VA PTSD rating appeal – and many, many veterans do so successfully without having to pay an attorney or stress out over a non-responsive VSO – the rest of this post is a good place to start figuring things out. So, I’m going to walk you through 9 Things that might help you get the VA PTSD rating you are entitled to. These are not the ONLY 9 things, and every case is different. Let’s get started. Understand where your VA PTSD rating fits in the 4 Pillars. When we talk about a VA Claim, we talk about simplifying it by building the 4 Pillars. 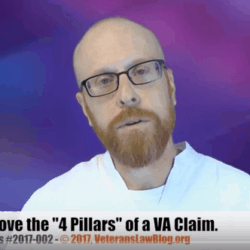 The 4 Pillars are the 4 things that every veteran, in every VA claim, needs to prove before they will recover service-connected disability compensation. Impairment ratings – or the way that the symptoms of your service-connected condition are equated to a percentage and a dollar value – are the 3rd Pillar. Here are 9 pointers to help you evaluate the rating in your VA PTSD claim. #9: Did you File your VA Claim – the Right Way? A) They filed their claim and expected the VA to do the work – or to do the RIGHT work – in developing the claim. B) They didn’t “connect the dots” for the VA in a simple straightforward way that made the VA Rater WANT to grant the claim. What does that mean in the context of a VA PTSD rating? Usually, it means the veteran dumped 3, 5, or 10 years of mental health treatment records, and a couple handwritten statements on a VA Form 21-4138, on the VA and hoped the rater would see how bad things were. Remember, they don’t get training. And they see so darn many claims that they aren’t going to spend but a few minutes deciding your VA PTSD rating. You can avoid those solutions by Filing Your VA Claim – the Right Way – from the very start. * Find out WHAT 5-star evidence you need to put in your VA Claim. * Find out HOW to make the arguments in a way that makes them easy for a rater to understand. It’s a simple fact that if you put the RIGHT evidence into your claim, and explain in a very clean and basic way how that evidence shows your sleep apnea is service connected, your claim will go quicker. And you will probably get better results. When you are ready to start learning How to File Your VA Claim the right way, click here & read this post. #8: The best-kept secret in a VA PTSD Rating are the Bankhead and the Mauerhan cases. The Code of Federal Regulations – before listing the PTSD rating criteria in DC 9411 – says that when rating PTS, the VA should consider symptoms “such as” those listed. That’s key language – as the Courts told us in Mauerhan. 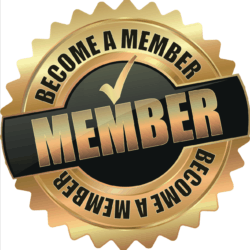 You don’t have to find ALL the factors on the list to qualify for a particular rating. You just have to make a case for your symptoms being similar to the symptoms listed at the rating level you believe you are entitled to. And what the Courts told us in Bankhead is that the VA is supposed to look HOLISTICALLY at your medical condition when assigning a rating for PTSD. I’m not going to get into Bankhead in too much detail here. I write a blog to help lawyers learn veterans law, and have written about Bankhead. 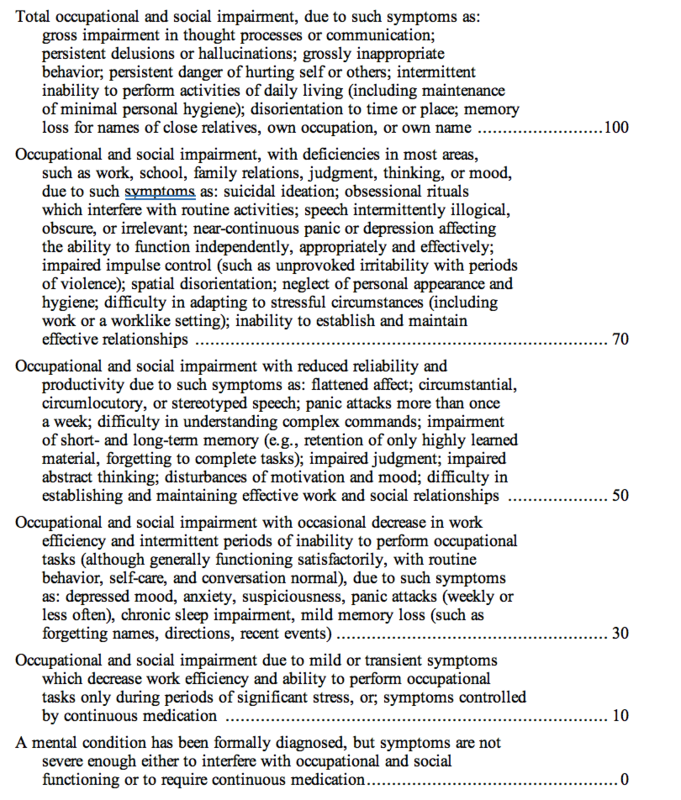 #7: Occupational Impairment factors are more important for VA PTSD Rating purposes. I’ve reviewed hundreds, if not thousands of Veterans C-Files. When the VA PTSD rating is too low, a common reason I have seen is that the veteran focused on the social impairment factors, and not the occupational impairment factors. Take a look at all the factors in the 50% category for PTSD. In addition to equating those symptoms to your social life (home, family, friends and social interactions), relate them to your ability or inability to get or keep a job. #6: The VA PTSD rating criteria is NOT a complete list of PTSD symptoms. Remember that the list of symptoms on this list are not meant to be every possible symptom. If you have symptoms, or manifestations of symptoms of your PTSD that are not on this list (and there are plenty), see which ones on the list are similar to yours. And then make that argument – that your symptom is like such-and-such a symptom of the 70% rating. The list of symptoms in the table above is not as a comprehensive listing of PTSD symptomatology. Think of it as an objective tool that was supposed to help make sure veterans get rated as consistently as possible when PTSD affects them in similar ways. #5: Did the VA examiner consider the frequency, severity and chronicity of PTSD symptomatology? This is one thing that C&P Examiners overlook the most often. They hunt-and-peck through your medical records for a symptom that matches the one on the rating list, and if they don’t find it, they move on and give you a 10% rating. This is called “symptom-hunting” and it misses the whole point of Bankhead, discussed above. To make a “holistic analysis” of your mental health condition’s impact on your life, the VA rater must consider the frequency, chronicity and severity of your PTSD in work and social settings. Rarely do C&P exams for Veterans with a PTSD claim discuss how long the symptoms last or the length of any periods of “remission”. Sometimes, they discount the resilience/remission factors so much so that they change the Veteran’s diagnosis altogether. For example, we were able to get one Veteran a higher PTSD rating by showing that her “resilience” was not as high as one might thing from frequent periods of remission: because of the nature of her symptoms, she still had significant social and occupational impairment limitations during the “remission” period. #4: Did the VA consider ALL of the evidence in the record? Far too often, VA C&P examiners focus on the most recent symptomatology. The doctor has to look at the whole of the evidence of the record. One thing you can consider doing is making a copy of any medical record relating to your PTSD out of your C-File. Organize those documents from your C-File in chronological order, and type up an EASY to read outline of the chronology of your symptoms – keep it to 1 page, double spaced, so it’s easy to read. Share it with your C&P Doc, and ask them to put the chronology in your C-File when they are done. This is really hard to do if you don’t have your C-File – here’s how to get a copy of your C-File. #3: What is the GAF scale? The GAF scale is a subjective rating, on a scale of 0 to 100, for a doctor to “evaluate” a veteran’s overall psychological, social and occupational functioning. The higher the score, the more ability the veteran has – in theory – to function in a wide range of activities. Problem is, GAF scores are nonsense. Seriously, ask a psychiatrist or psychologist how they come up with a GAF score. They pick a number out of thin air that “feels right.” One doctor could give you a GAF score of 30 (low functioning). Another could give you a GAF score of 60 (reasonably high functioning). For the same symptoms. So, in DSM-V, the medical profession threw GAF scoring to the crap-pile. Even still, I see many, many PTSD ratings that give heavy consideration to GAF scores over actual objective medical and lay evidence of PTSD symptomatology. In current claims, the GAF score is no longer used – however, many VA Raters still wrongly use the GAF score and in some claims, the appeal is based on the law at the time of the denial, which may have involved use of the GAF Score. This is CRITICAL: if you have a claim or appeal filed after August 14, 2014, and the VA or BVA is using GAF scores, they are very likely rating your claim wrong. #2: Don’t let the VA rate you based on the ABSENCE of factors for a particular level. I really think that if the VA would get away from using “negative evidence”, 80% of the backlog would be cleared out. Seriously – I think I see this error in nearly every case I look at. The VA cannot usually consider the absence of evidence as proof of anything. If your VA PTSD rating talks about how you DON’T have certain symptoms or problems, you need to get in touch with a lawyer ASAP. The way to fix this is a legal argument, coupled with a long-term appeal strategy. 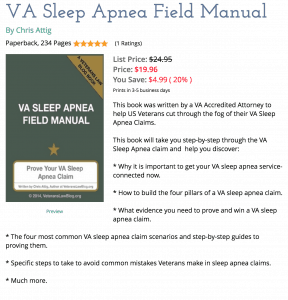 Find out how to choose the best attorney for your VA appeal in this free eBook. #1: Did you downplay your symptomatology at the C&P Exam? Many Veterans get dressed up in their “Sunday best” for their Comp & Pen exam, believing that they are more persuasive when they “present” well. Other Veterans refuse to shower, shave, or wear clean clothes, based on the suggestion of some random Veteran in a facebook group. Remember, doctors can assess the symptoms in your records – AND the symptoms they observe. When it comes to your appearance at the C&P exam, BE your symptoms. More importantly, don’t downplay your situation. Let the doctor see, and hear, how bad your PTSD is affecting you. Vietnam Veterans out there tend to be serious hard-asses, and refuse to tell people when they are hurting. I’m not judging at all – I am saying that the time to downplay your symptomatology is NOT during your PTSD C&P exam. (By contrast, you don’t want to exaggerate your symptoms either). The Veterans I see with PTSD ratings that are too low (or that later face ratings reduction problems because they were over-rated) all have one thing in common – they failed to follow the Golden Rule of PTSD C&P Exams: Just be yourself. Here are some more tips for getting through a VA PTSD C&P exam – or any C&P exam for that matter. These tips for evaluating your VA PTSD Rating are worthless unless you have your C-File. Without your C-File, you can’t know how much weight the VA is wrongly putting on arbitrary GAF scores from 10 years ago, whether all of your medical records made it into the VA’s hands, or whether there is something really damaging in your file (like some VA C&P examiner down in Florida who finds every veteran is malingering, over-reporting, or under-reporting symptoms without explaining what those terms mean, medically). Here’s where I show you my Firm gets C-Files from the VA. I hope these tips helped – let me know if you have any thoughts or questions. That’s exactly right – paint the picture. Don’t stop with just “social situations” like those Terrell talked about. Paint the picture with facts about how PTSD affects you in the workplace, too. Most Vets overlook this, and get low-balled on the rating! I have a question from your post on PTSD? Below I copied and pasted the information from you post and it said to “Click Here”, well there is no link to be able to see the Rating Table, or am I missing something and I don’t understand your instructions. Many Veterans with a diagnosis of PTSD find themselves “low-balled” with a rating that is much lower than that of their peers. When it comes time to appeal that low rating though, most Veterans don’t have the tools to adequately challenge the low rating. I am very interested in this Post, as I believe I was low balled on my rating. In the list I received from VA, I suffer from almost all the Symptoms for a 70 % Rating yet I was rated at 50%. all the symptoms are/were documented in my VA hospital record and Hospital Notes taken by my VA Examiner, which happened to be a Nurse Practitioner and not a Doctor. This same C&P examiner screwed me around on my other disability ratings during the same C&P Exam. I have been fighting her and the VA for almost 4 years. Joe – thanks for letting me know about the “bad” link – it is fixed now, and you can download the VA’s Current Rating Table for PTSD (and all mental health conditions). Thank you for this piece. I am going to get started on researching for my c-file to find what is or isn’t in it. My therapists and doctors keep telling me to appeal the rating which I have been for a year and a half and this will be my third appeal. The first post of painting the hypervigellince is one thing I have not done. I hope this works cause I am wearing down.